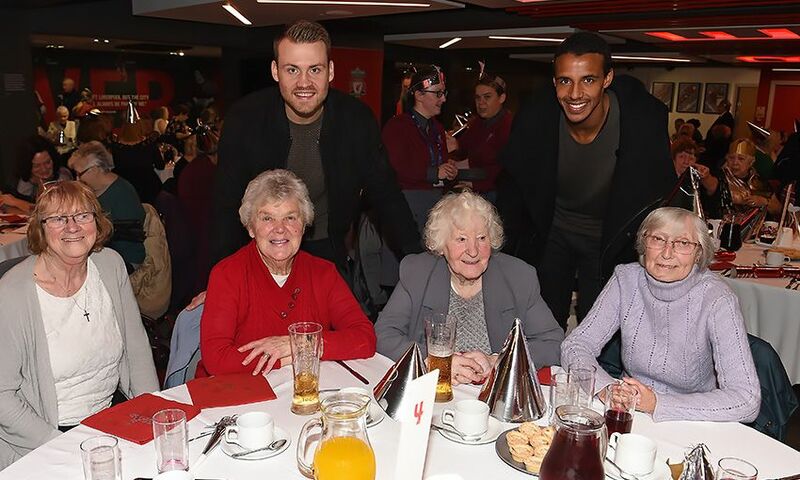 Simon Mignolet and Joel Matip joined local pensioners for a very special Christmas lunch this week. The Liverpool stars met with 180 elderly locals - who all live in the L4, L5 and L6 areas - as they enjoyed a three-course meal and a festive sing-a-long at Anfield. Club chaplain, Bill Bygroves, Hillsborough Family Support Group chair Margaret Aspinall and a group of LFC employee volunteers were also on hand to greet the pensioners, help serve food and provide musical entertainment. Redsdefender Matip said: “It was brilliant for Simon and me to come and join in with the Christmas lunch. It’s so important to get involved in events like these and spend time with the local community, especially at this time of year when it can be lonely for older people. The day marked the start of three Christmas lunches across the week - and a number of festive events throughout December - as part of Red Neighbours’ aim to tackle social isolation amongst the elderly in the Anfield area.